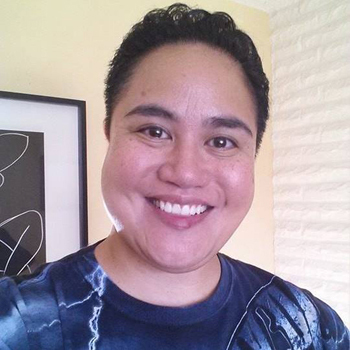 Manumalo “Malo” Ala’ilima is Samoan American and a transplant to Oregon. Malo is “fa’atane” meaning “in the manner of a male in Samoan”, identifies as Lesbian and Queer, and uses all pronouns. She has worked for American Red Cross for twelve years, in three major geographic regions, for five functional areas, and is on their Quality Assurance team in Portland for four years. Malo is a member of the Asian Pacific American Network of Oregon’s (APANO) Board Nominating Committee; a member of Pacific Islander Coalition, an advisory board to Multnomah County Health Department; a board member for UTOPIA (United Territories of Pacific Islanders Alliance) Seattle, which creates safe spaces for Pacific Islander LGBTQ+ communities in advocating for social justice, education, and wellness. Malo then founded a UTOPIA Portland chapter in April 2017. In May 2017, Malo became Vice Chair of Samoa Pacific Development Corporation. In June 2017, Malo became a board member for Q Center and was part of the Search Committee and brought together community members for the hiring of their Executive Director in March 2018. Since May 2017, Malo focused on UTOPIA PDX as their co-chair and on its development to better serve the needs of the Pacific Islander LGBTQ+ community. That same month, Malo organized a Q Center event to honor Asian and Pacific Islander Heritage Month. 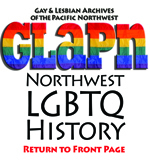 The celebration included an artifact display, bios of major Oregonian LGBTQ people who are API, a potluck, and a panel that included an impressive group of speakers. Lately, outside of their professional career, Malo participated in two Scholarship Review teams for Pride Foundation, organized and wrote grants for UTOPIA PDX, on-boarded new board members for Q Center, and has been enjoying time with their lovely partner Elizabeth, karaoke, and visiting family. We begin announcing a hero per day on June 1, and the heroes' posters are unveiled in a reception at Q Center on June 7, 2018, 5-8PM. The public is invited. 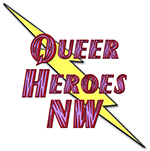 Queer Heroes' posters are displayed all year at Q Center.